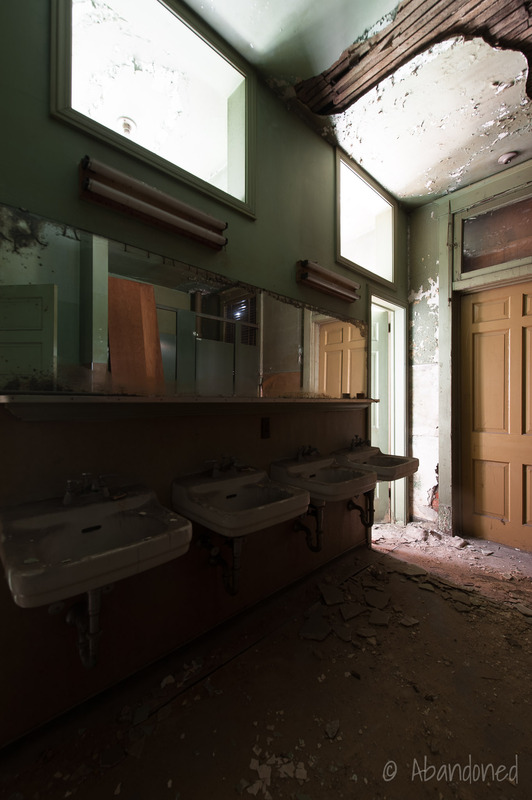 A gallery of abandoned residences in the United States. 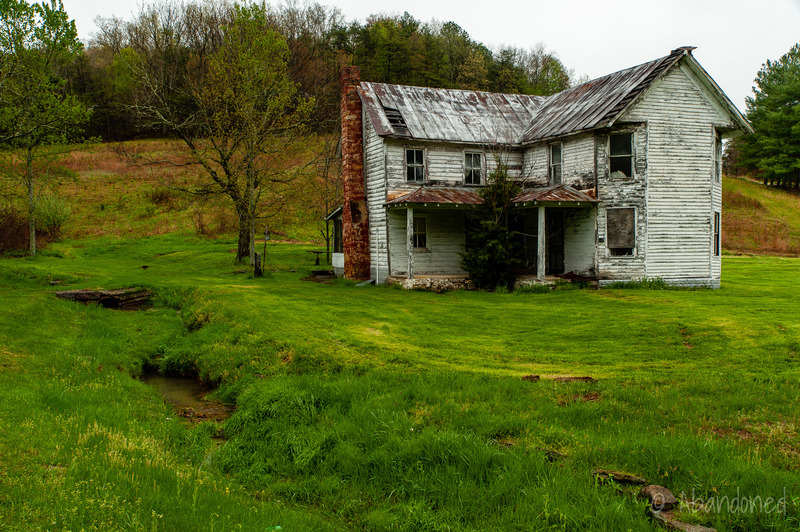 An abandoned house in Arvel, Kentucky. 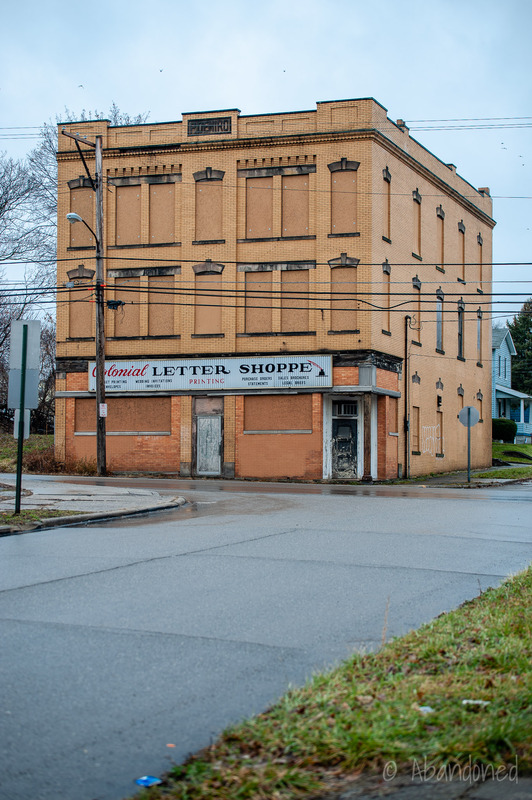 The P. Deniro Building formerly housed a drugstore and apartments in Youngstown, Ohio. The blond brick building replaced a two-story frame residence. 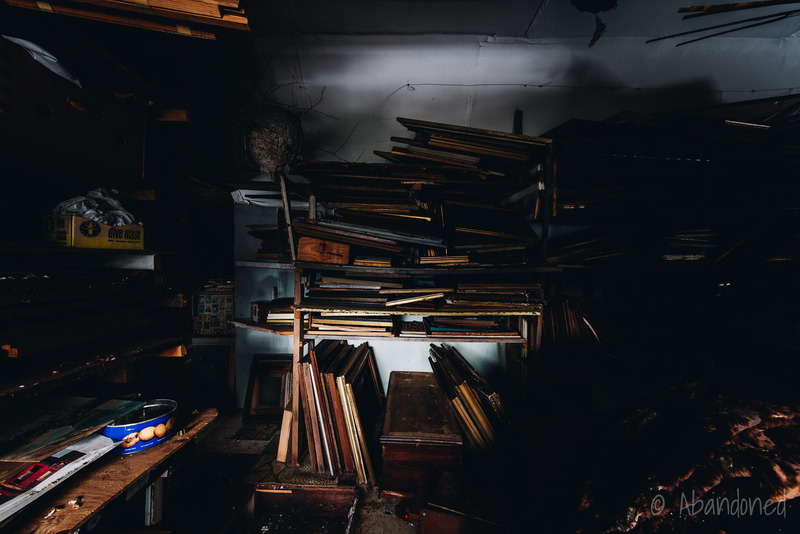 Inside a collapsing house near Cleveland, Ohio. 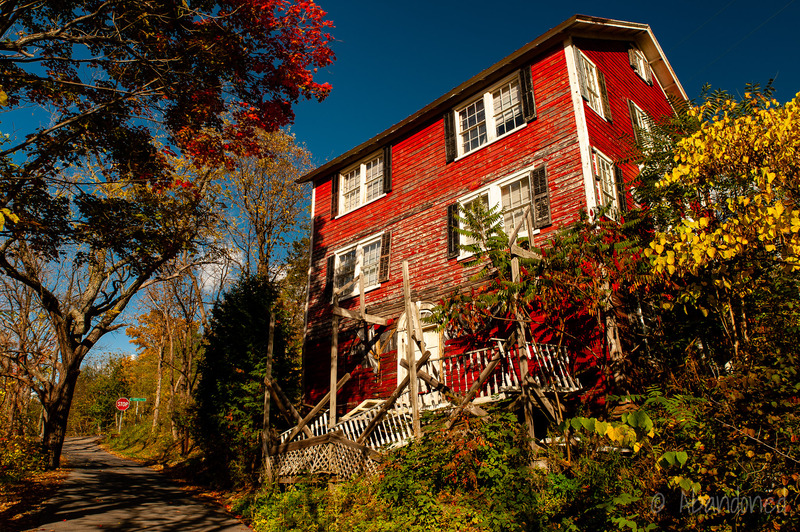 A house in Hector Falls that is being rehabilitated. Packing house along Middle Road near Hector, New York. 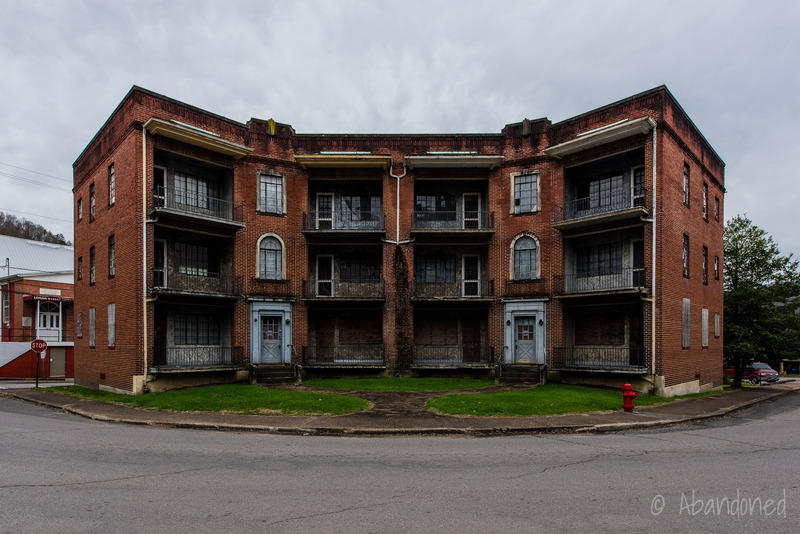 An abandoned apartment building in Williamson, West Virginia. 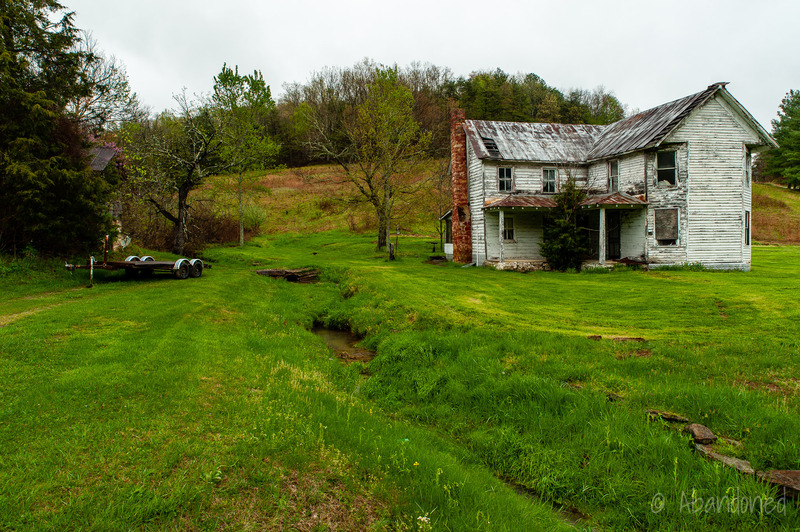 A view of an abandoned house in Green, Elliott County, Kentucky. 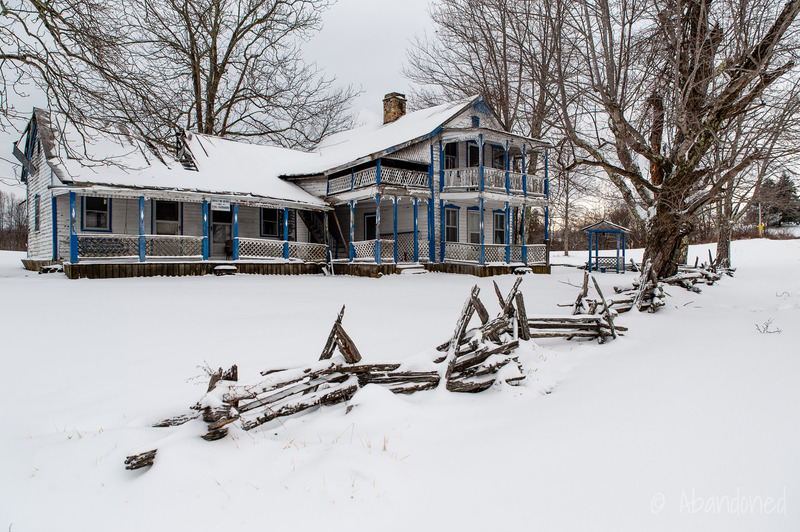 The Abel Gabbard Residence was constructed at Sand Gap in Jackson County, Kentucky in 1890. Abel B. Gabbard, Sr. was born on February 1, 1861 in nearby Booneville and died on January 27, 1952. Wallpaper found in an abandoned house in Delaware. The Top-O-Rock House was located in Charleston, West Virginia. 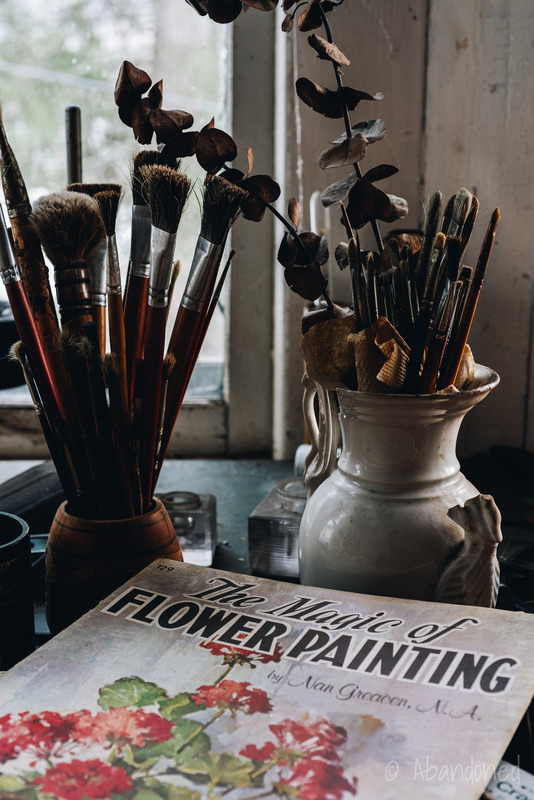 A corner desk tucked into the oriel window contained more used brushes and utensils, resting into the window bay next to a copy of The Magic of Flower Painting magazine. 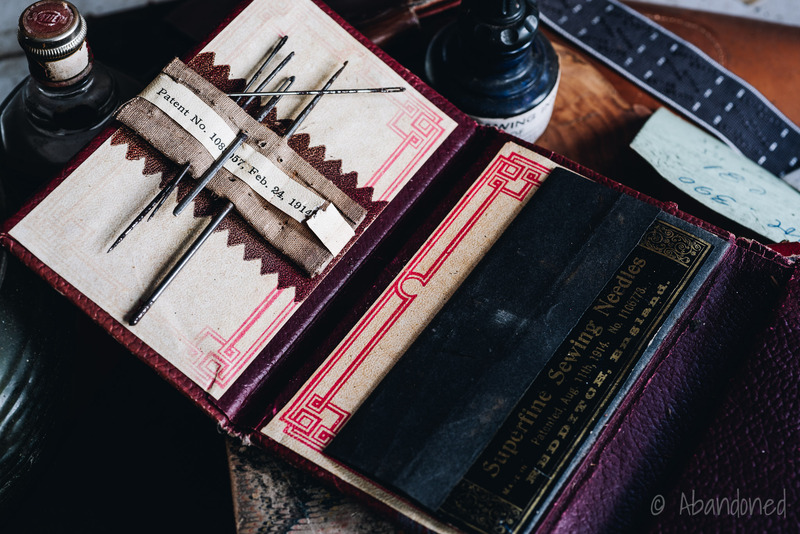 Superfine Sewing Needles, made in Redditch, England, lay nearby. 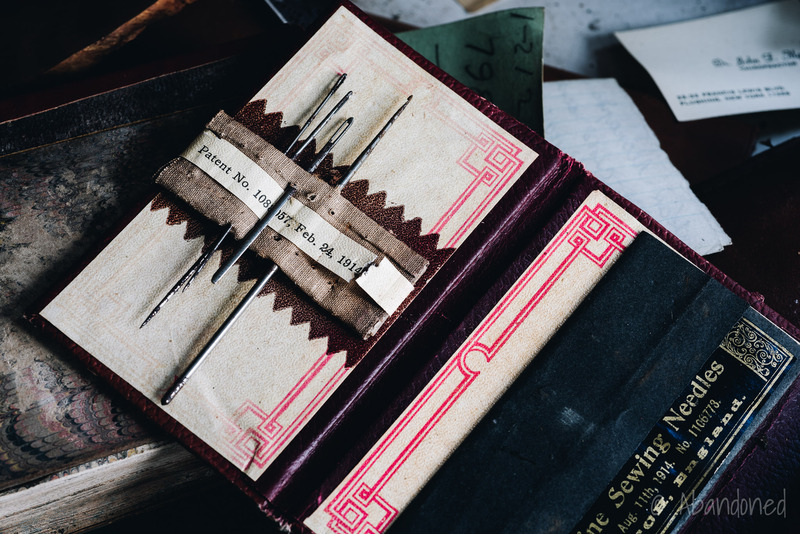 The needle case was invented by Augustus F. Brabant of Yonkers who had formed the Brabant Needle Company and patented in 1914. A macro view of the top of an ink bottle. 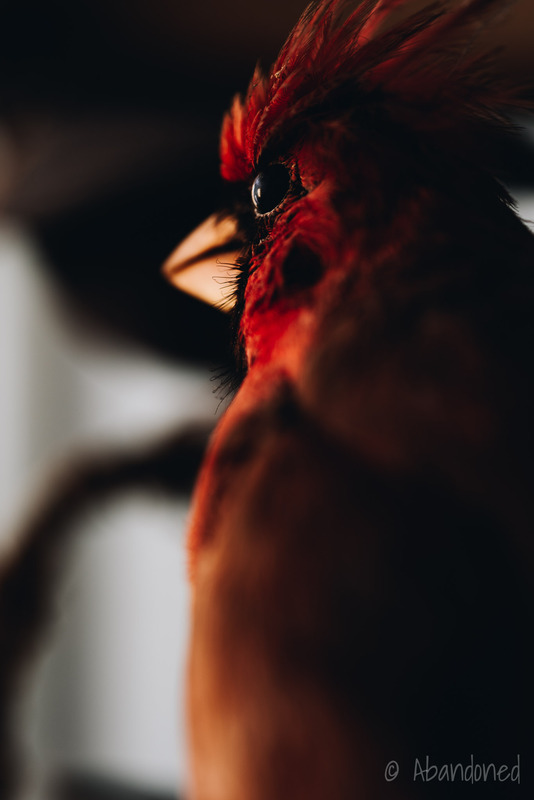 A stuffed cardinal bird in a display case. Abandoned frames and canvasses in the attic. A view of a bedroom. 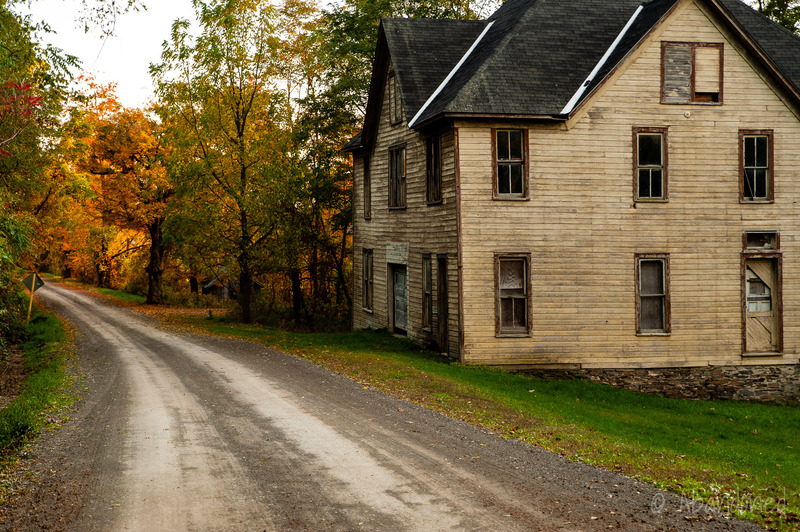 An abandoned residence and general store in rural Vermont. 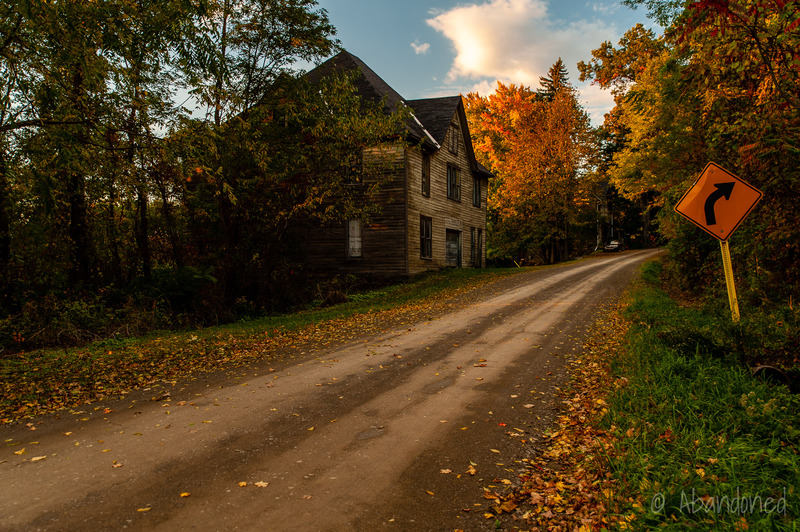 An abandoned residence in rural Vermont. An abandoned house / barn in Kentucky. 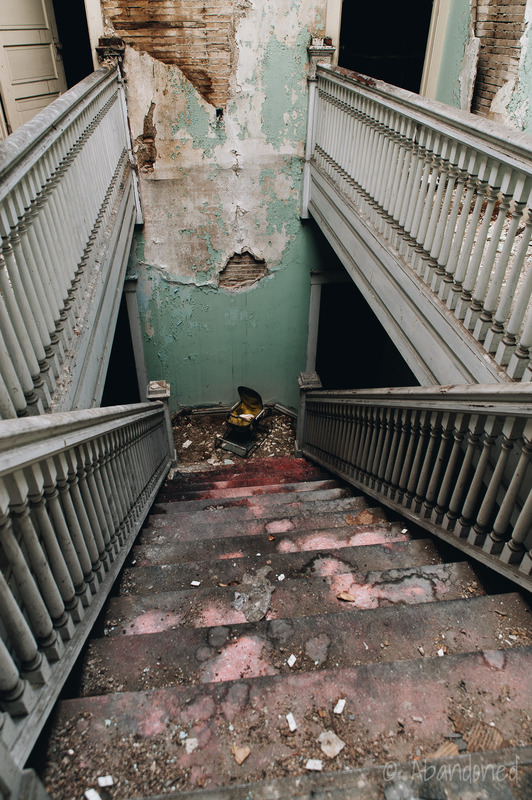 An abandoned house in Lawton, Kentucky. 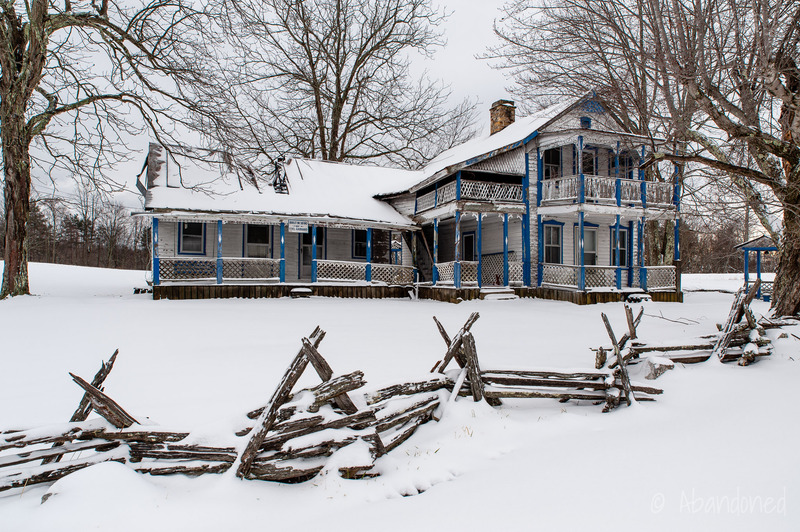 An abandoned residence along Ninevah-Clifton Road south of Frankfort, Kentucky. 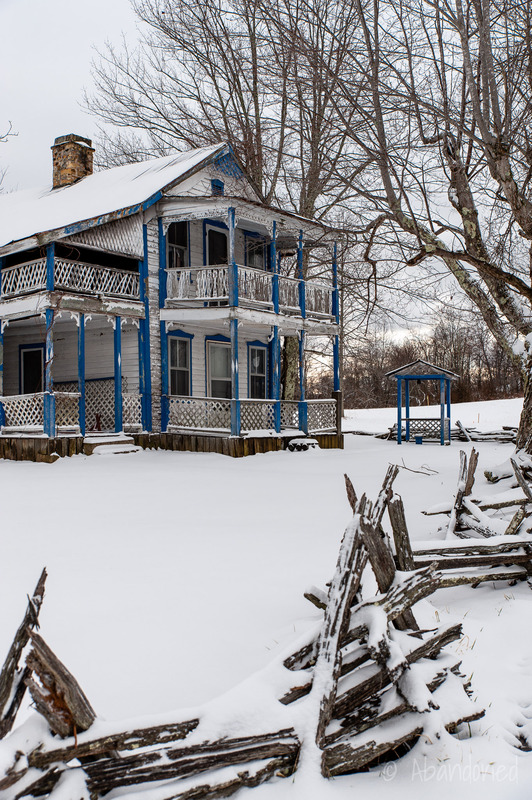 A formerly abandoned residence south of Frankfort, Kentucky. 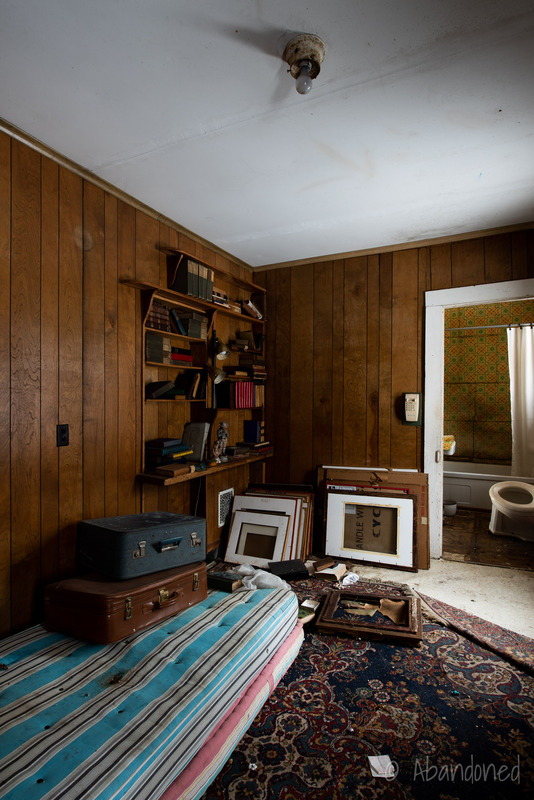 An abandoned residence in McBrayer, Kentucky. An abandoned house in Kentucky. 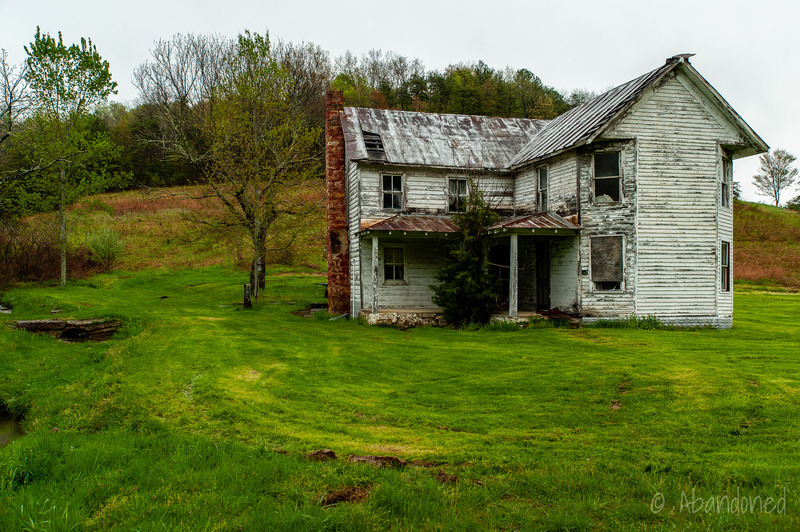 An abandoned house near Cranesville, West Virginia. 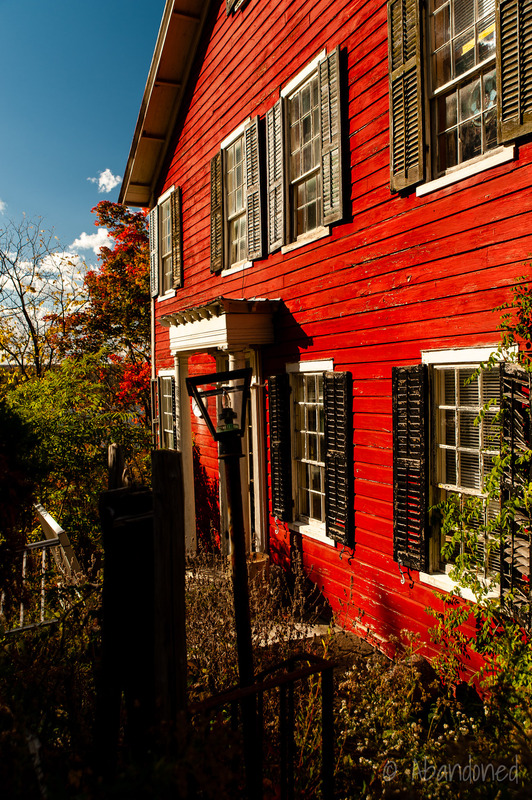 An abandoned house on the Little Glade Farm in western Maryland. 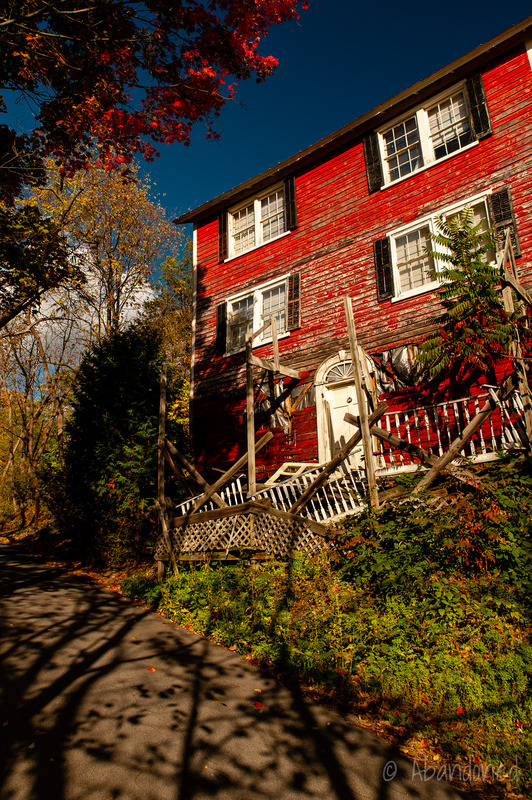 An abandoned mountain residence in western Maryland. 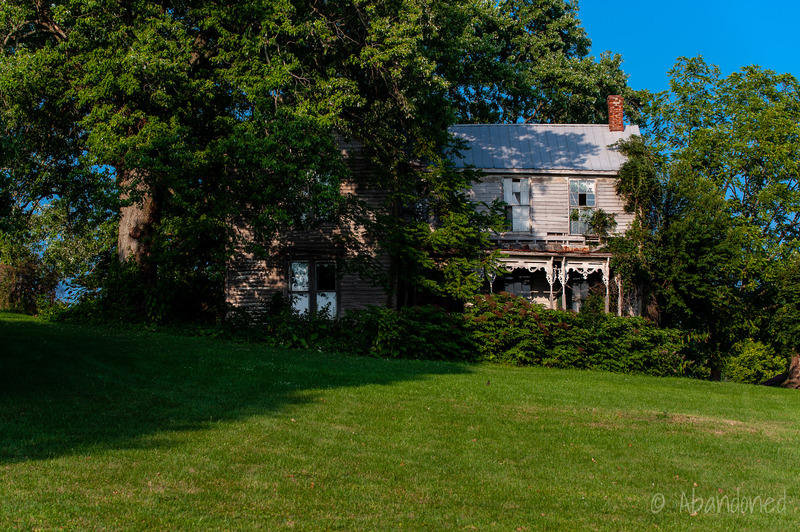 A long abandoned house in Colemansville, Kentucky. A long view of an abandoned residence with intricate trim near Maysville, Kentucky. 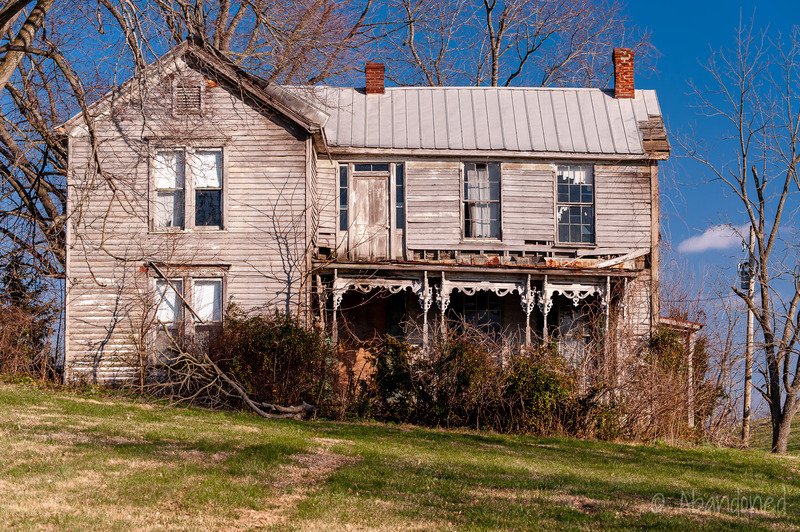 A view of an abandoned residence with ornamental trim in Orangeburg, Kentucky. Along Burton Pike near Georgetown, Kentucky. 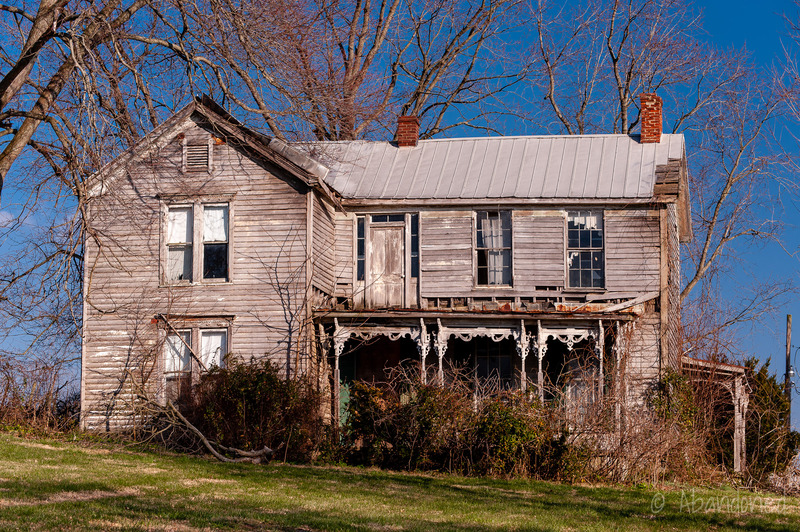 An abandoned house near Sandy Springs, Kentucky. A rural residence for sale along Kentucky Route 399 north of Heidelberg, Kentucky. A long abandoned house in central Kentucky. A view of the now-demolished Brewster-Douglass Housing Projects in December 2013. A view of the Brewster-Wheeler Recreation Center in December 2013. A view of residences in Brush Park in December 2013. These have now been renovated. 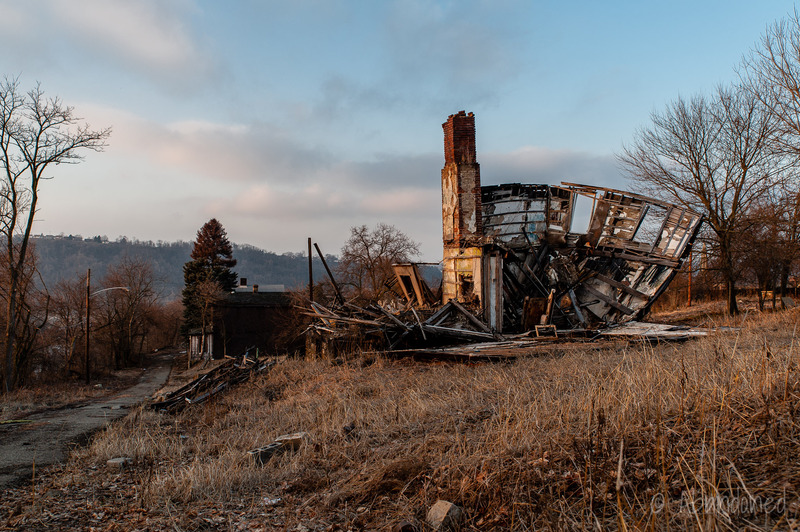 A view of an abandoned residence in West Virginia. 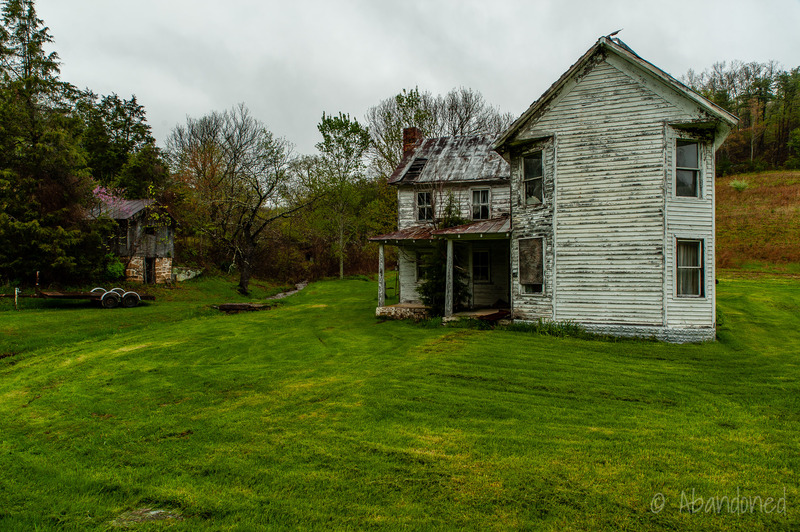 A view of an abandoned residence in Mason County, Kentucky. 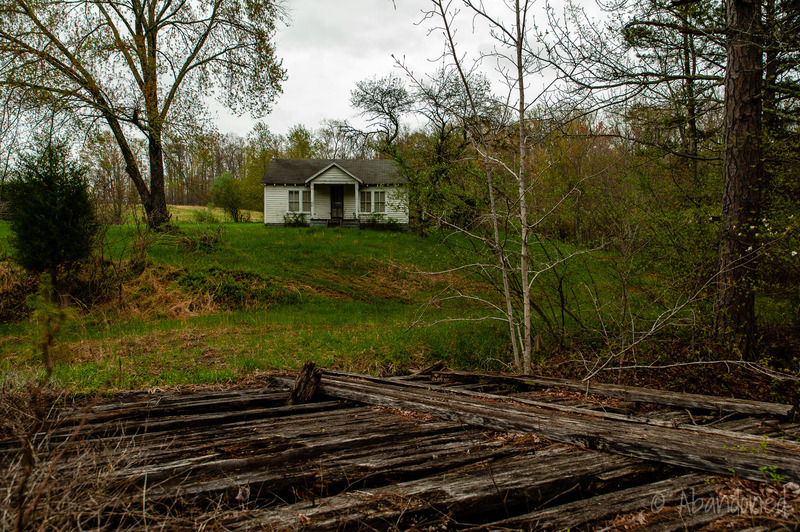 A view of an abandoned residence near Buckeye, Kentucky. An abandoned residence in rural Ohio. 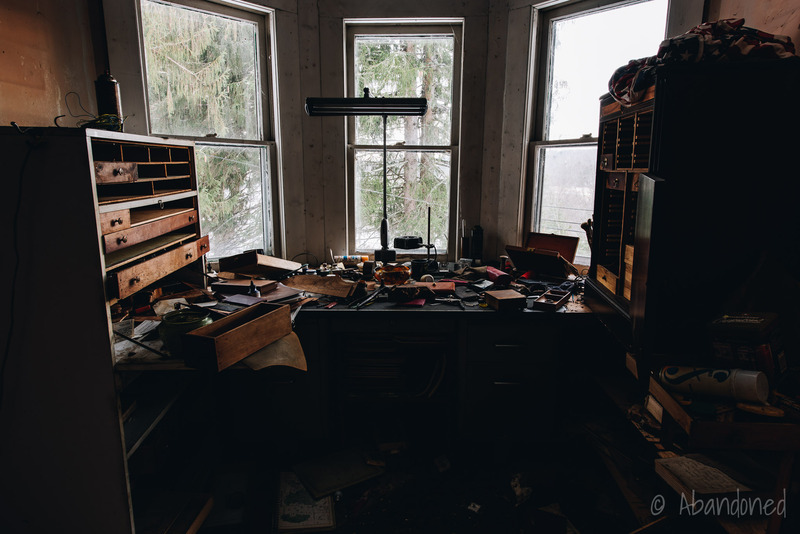 An abandoned residence / business in Lawton, Kentucky. A view of The Pillars in Guilford, New York. 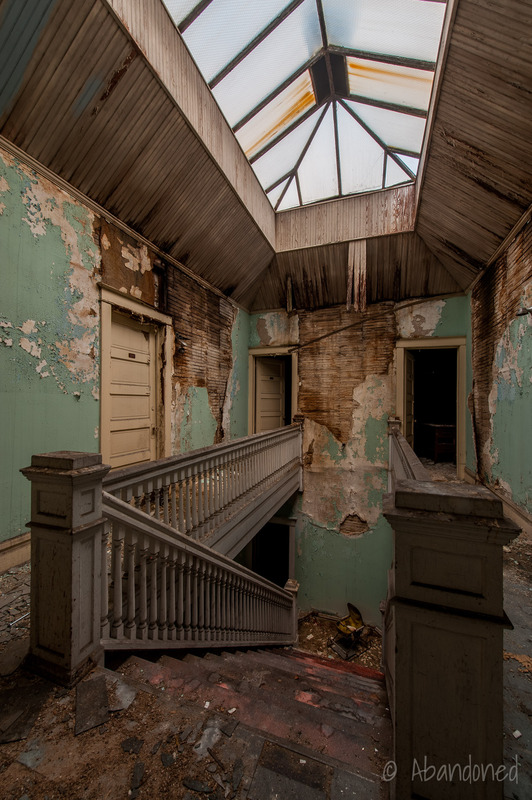 The long abandoned circa 1799 residence in New York. Two rear wings were added circa 1900 followed by an art gallery circa 1927. 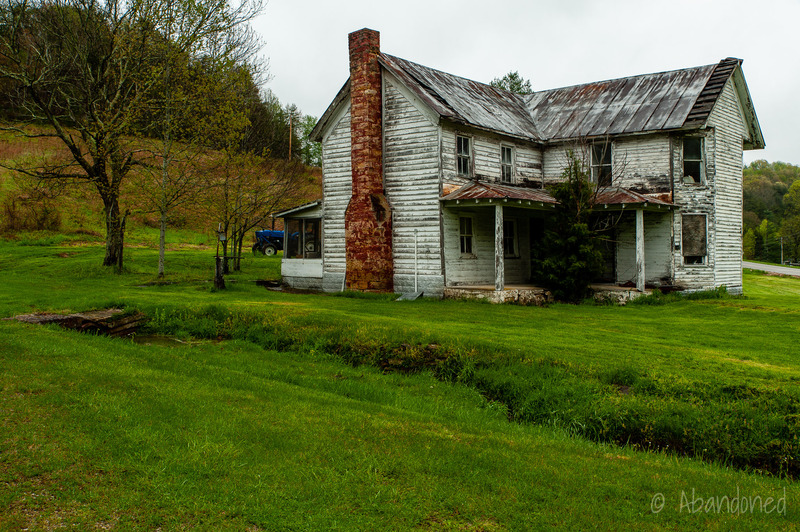 An abandoned rustic homestead near Red River Gorge in the Appalachian Mountains of Kentucky. 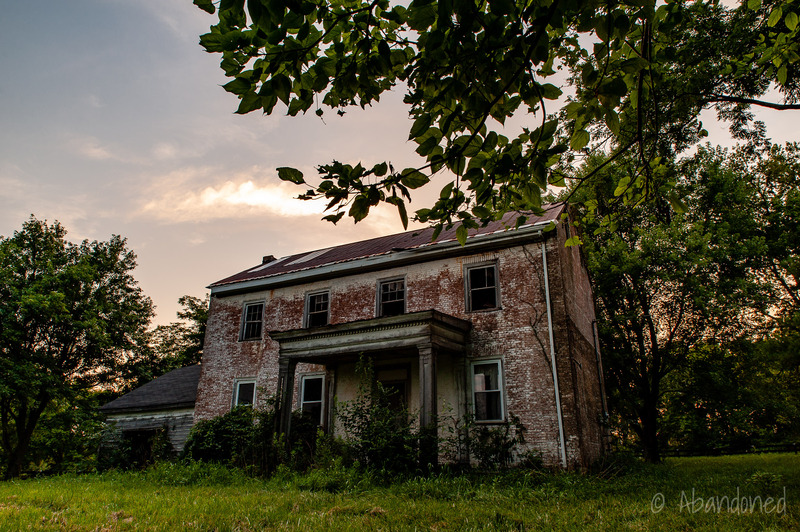 A large historic abandoned residence in Ewing, Virginia. 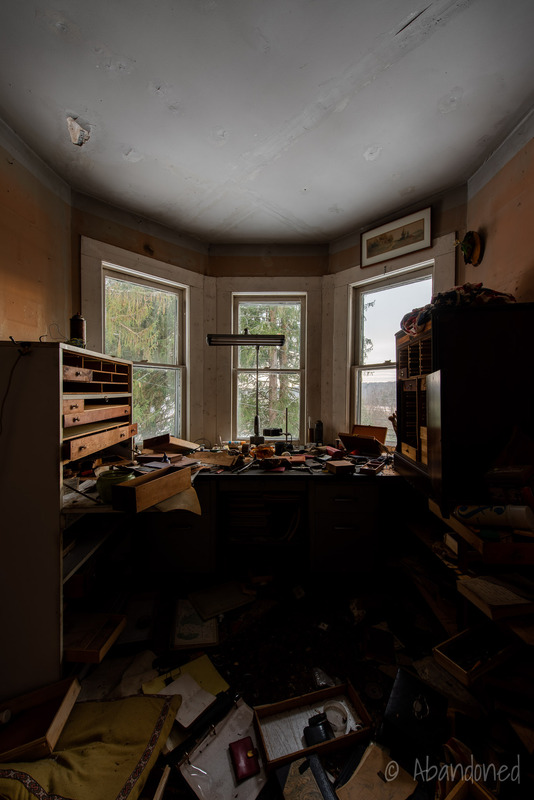 A view of an abandoned residence in Mecklenburg, New York. A block of residences along 16th Street in east Wheeling were controversally condemned and removed for a private Catholic school’s playing field. A long abandoned house in the ghost town of Broadwell, Ohio. A view of a long abandoned and now collapsing house near Flemingsburg, Kentucky. 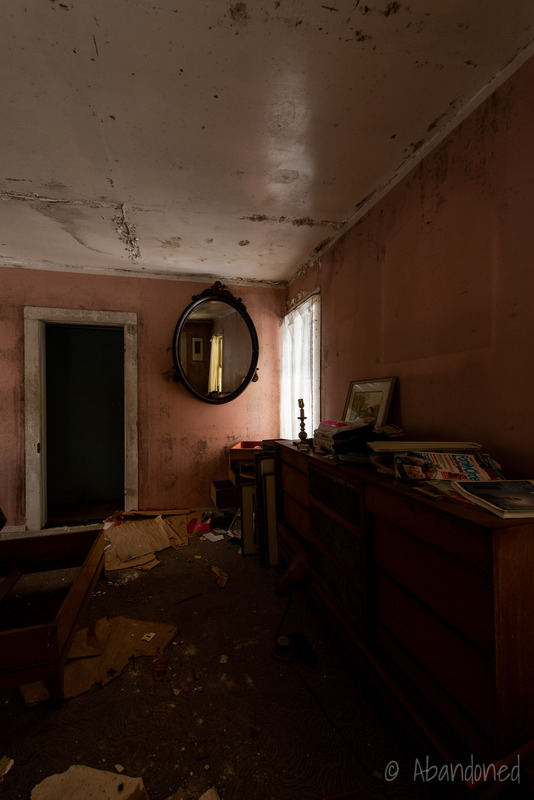 Inside a long abandoned house in McKeesport, Pennsylvania.